Dr Hsiung (far left) and Ying (third left) posing for a group photo with the Para Sukma Games 2018 athletes. 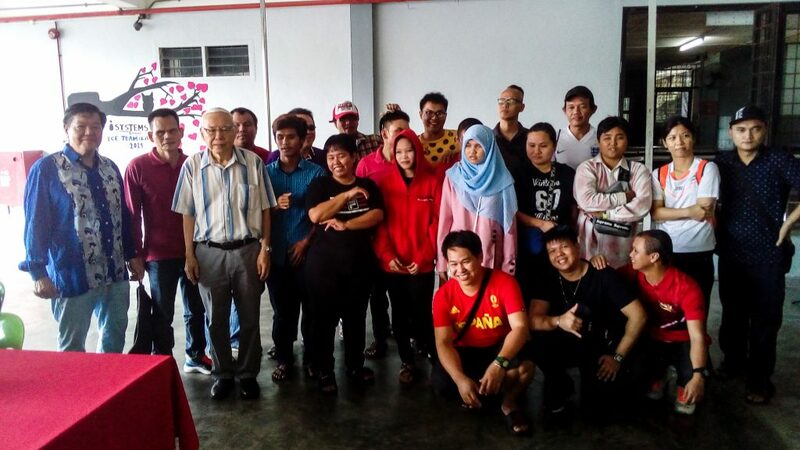 KUCHING: Twenty-six athletes received their sports incentive from the Sarawak Society for the Blind (SSB) at the Kuching Blind Centre here today for their participation in the Para Sukma Games 2018. According to SSB state deputy president Ying Ten Ping, the gathering was organised to celebrate this year’s Chinese New Year and also the success of the athletes in the Para Sukma Games last year. “A total of 26 athletes qualified for the incentive for their winning of gold, silver and bronze medals,” he said. Ying also told the athletes that during festive seasons, NGOs, companies and corporations not just give them donations in cash but also wished for their good health, good luck and success in their undertakings and careers. “You are not alone and there are people who cared for you and will give you a helping hand whenever you are in need,” Ying said. The gold medalists each received RM600 incentive while the silver medalists received RM400 and bronze medalists RM300. “We are very proud of their contributions in glorifying the name of our state. Therefore, all of them have earned this prize for their amazing success in the Para Sukma Games last year,” Ying said. Also present at the gathering were SSB president Dato Dr Hsiung Kwo Yeun, organising chairman for the event Siau Ging Lock, SSB Kuching branch vice chairman Ronald Law, SSB Kuching branch secretary Annie Soon and SSB Kuching branch committee member Adzohari Jamil. Cash incentives for 26 para athletes 0 out of 5 based on 0 ratings. 0 user reviews.